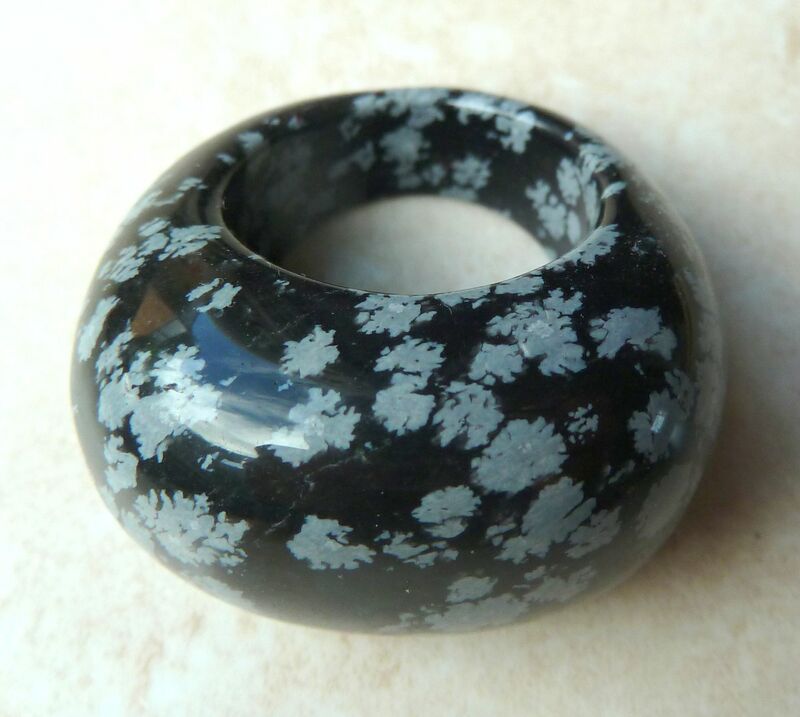 Large Chunky Snowflake Obsidian Carved Ring. 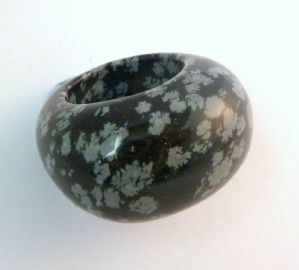 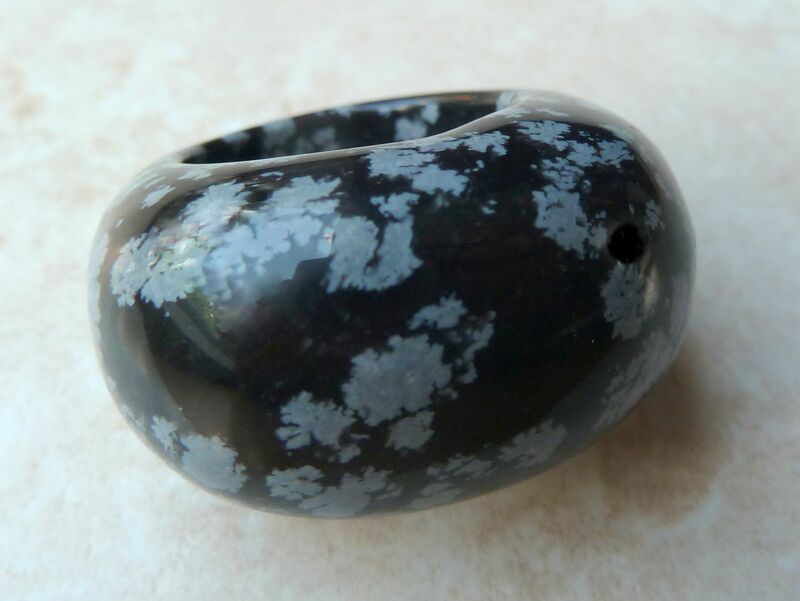 Large, thick, chunky ring carved from a single piece of snowflake obsidian. 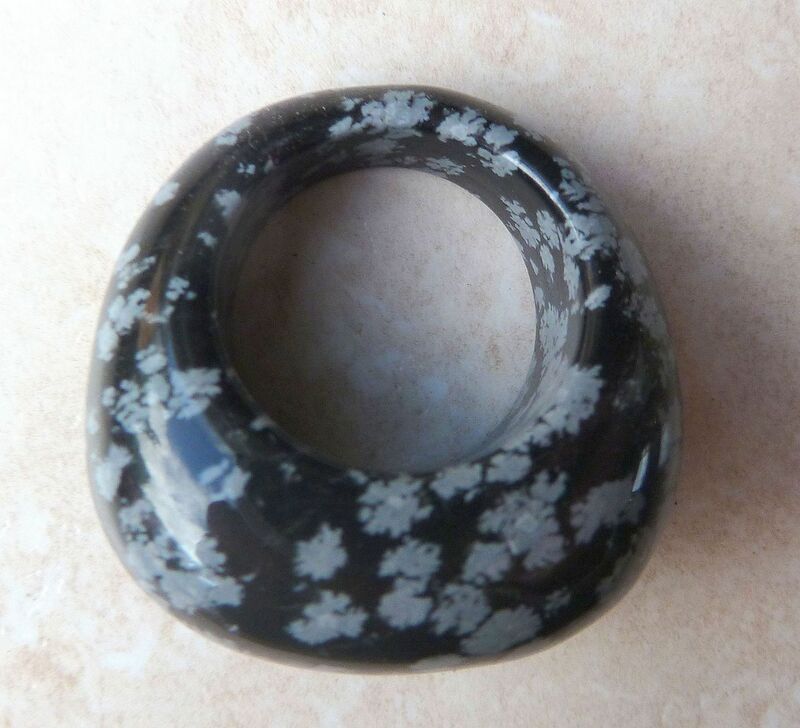 Carved large, chunky snowflake obsidian ring. 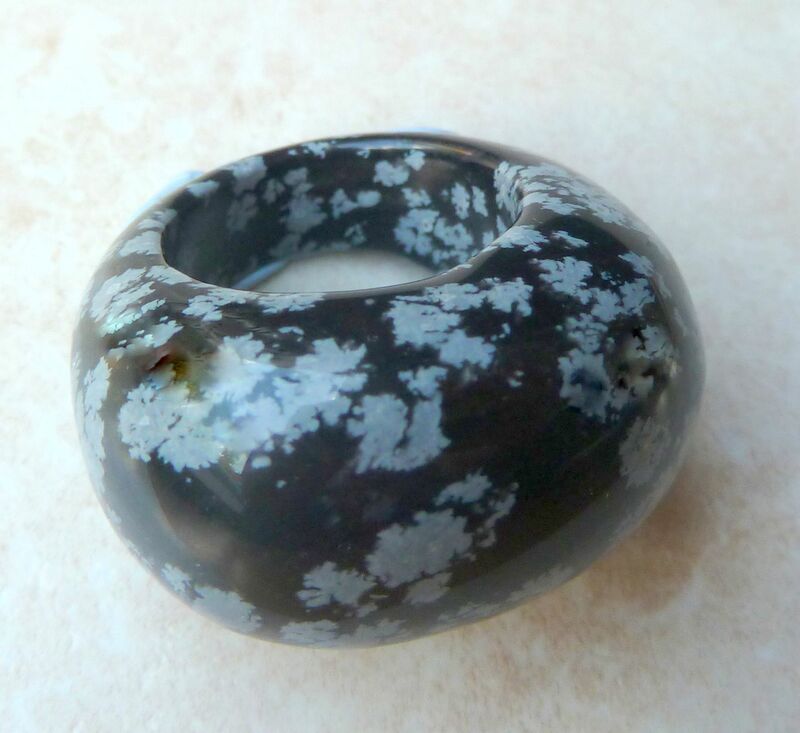 Striking large, chunky modern carved stone ring. 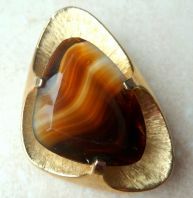 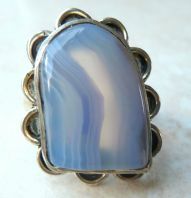 Vintage faux agate art glass brooch by British Designer Miracle. 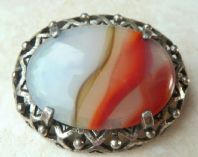 Vintage large art glass, faux agate modernist abstract brooch by vintage designer Sphinx.